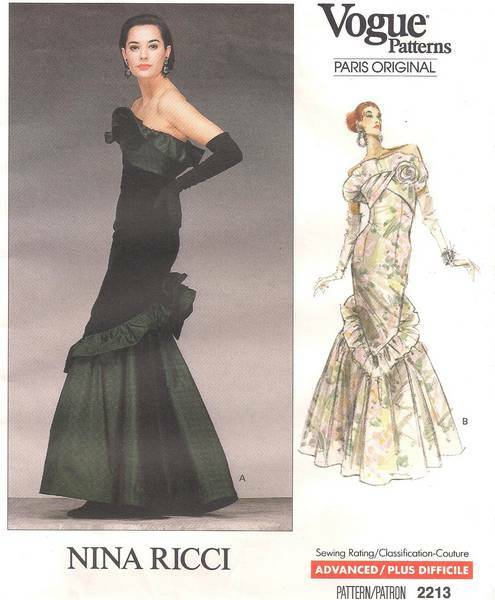 Vogue Paris Original pattern from 1988 designed by Nina Ricci. Close-fitting, lined, boned dress, floor length (back), has upper and lower ruffle (when worn up, wrong side shows), front and back overlay, foundation and inside belt. Skirt with side front and side back seams (no side seams), bias front and back flower with stay, bow and bias knot. Back zipper. 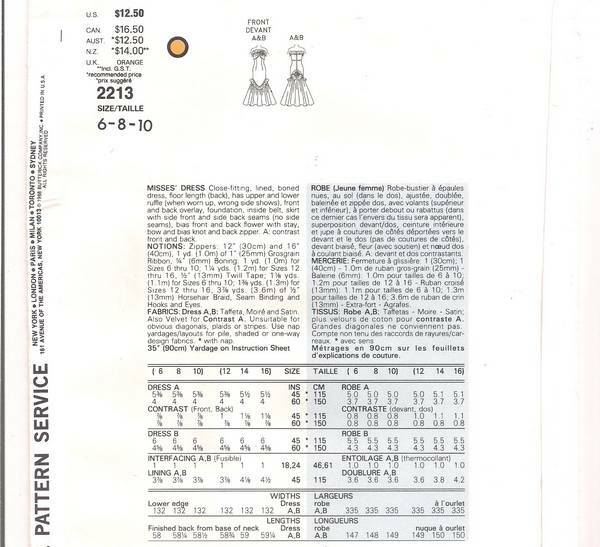 Pattern is uncut, complete and in factory folds. Envelope and contents are in excellent condition.